With the so-called "currency wars" escalating after Beijing's recent devaluation and China's growth stalling, investors have suddenly become quite jittery. 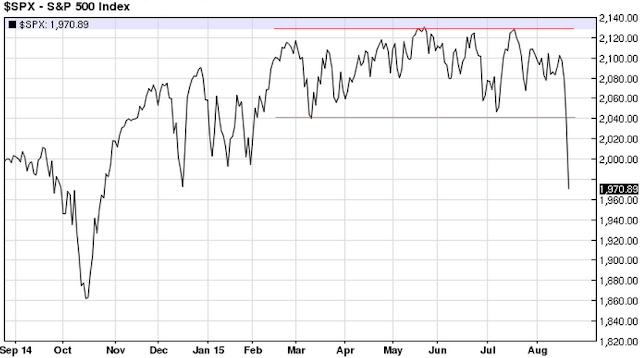 We are now seeing significant signs of stress in US equity markets. ... and the VIX (implied volatility) index jumped to levels we haven't seen since late 2011 - the height of the Eurozone crisis. 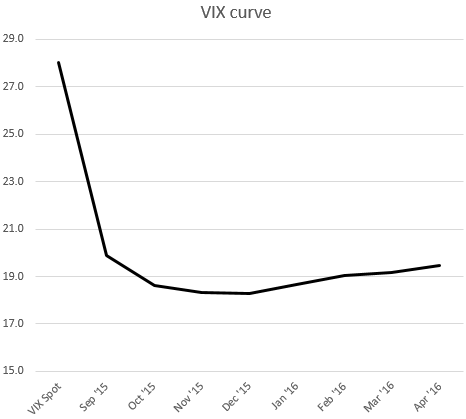 The VIX curve has become inverted, which generally indicates a heightened level of risk aversion. 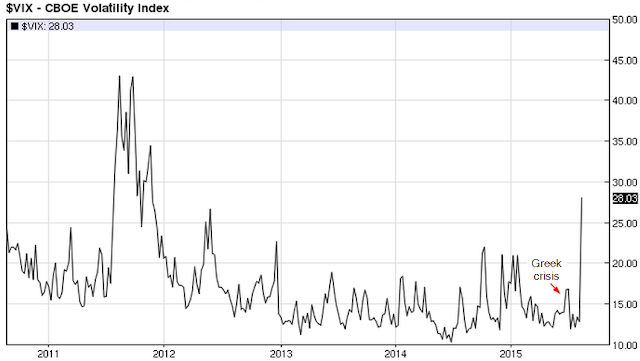 Moreover, gold prices and the euro have risen materially and became more correlated over the past few days, indicating a rising "risk-off" sentiment. Both gold and the euro are viewed as "safe haven" assets. 1. 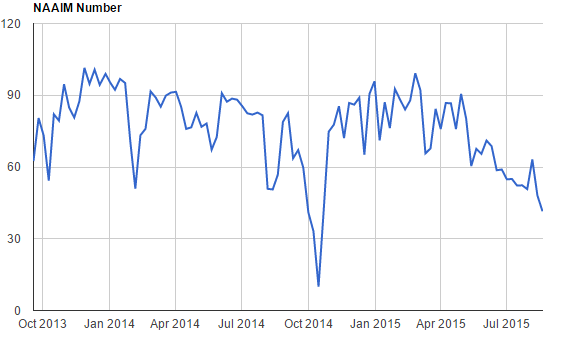 Investment advisors are cutting back equity exposure (as shown by the NAAIM index below). 2. 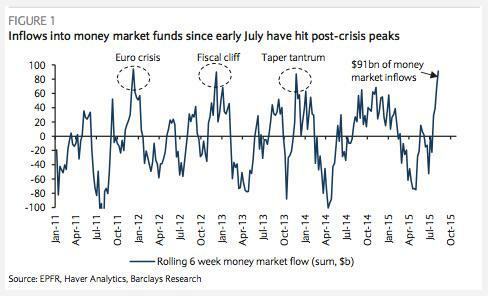 Money market inflows have spiked. 3. 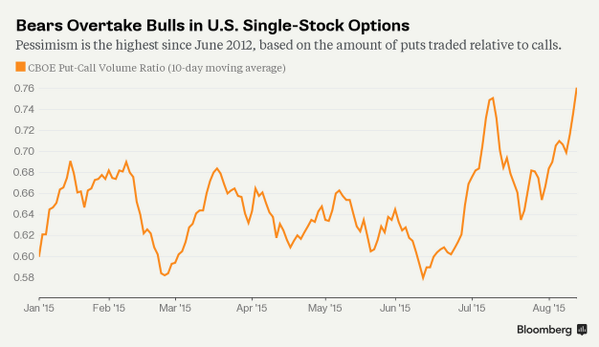 Single-stock put option activity has risen. 4. 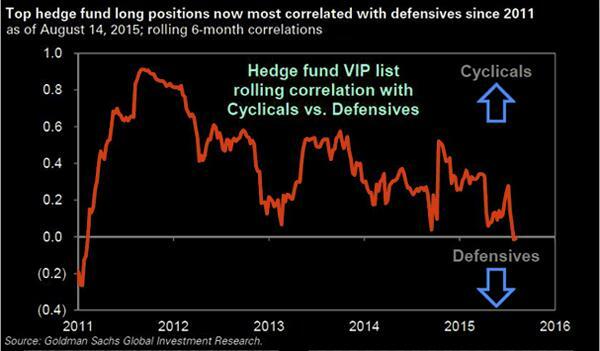 Hedge fund managers have been picking more defensive shares. 5. Leveraged finance markets have been under pressure for some time. 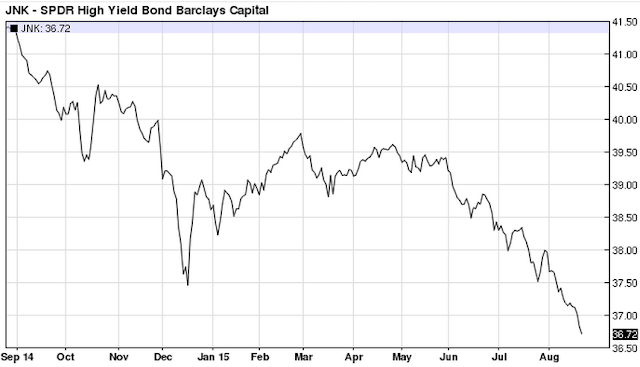 The chart below shows the SPDR Barclays Capital HY Bond Index ETF (JNK).